Lyme disease is a serious public health threat spread by the bite of the black-legged (deer) tick, (Ixodes scapularis). Dr. Carmen Greenwood, Associate Professor at SUNY Cobleskill, will discuss the biology and ecology of ticks. 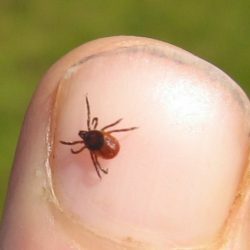 Following this, Otsego County Communicable Disease Coordinator, Theresa Oellrich, RN, will discuss the specifics of Lyme disease, including its health impacts, treatment and prevention, an d what to do if bitten by a tick. With spring coming soon, this is an important program for anyone who spends time outdoors.